4G is here, but is it worth it? 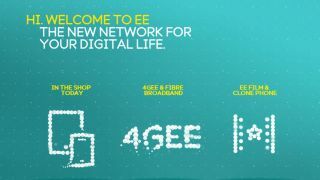 The UK's first 4G network has officially gone live today as EE cuts the ribbon on its super-fast mobile and fibre broadband service. While you can pick up an EE 4G contract anywhere in the country, you'll only be able to get those super-speeds in 11 major cities for now, rising to 16 by the end of the year. If you fancy a bit of 4G action and live in London, Leeds, Liverpool, Manchester, Sheffield, Glasgow, Edinburgh, Cardiff, Bristol, Birmingham or Southampton, then be prepared to shell out a significant amount of cash for the privilege. Belfast, Derby, Hull, Nottingham and Newcastle are the other five cities which will be enjoying 4G before 2012 is over and there's a range of handsets ready to handle the super speedy network. The HTC One XL, Samsung Galaxy S3 LTE, iPhone 5 and Huawei Ascend P1 LTE are all available at launch, while the Samsung Galaxy Note 2 LTE and Nokia Lumia 920 (an EE exclusive handset) will be added in November. Two year contracts start at a princely £36 per month and you only get a paltry 500MB of data with that, while if you fancy 8GB, you'll need to fork out a staggering £56 each month. Don't forget the upfront cost of your shiny new 4G handset as well, and if you're hoping there will be a range of free handsets then you're out of luck, as only the Ascend P1 can be picked up for free, and that's on tariffs starting at £41 per month. It's great to see 4G finally arriving in the UK and we welcome it with open arms as we consider the possibilities the new network speeds will offer, but at it's current price it's certainly more of a luxury than anything else. We'll be interested to see what initial take-up is like. We've also taken an in-depth look at the EE 4G tariffs to help you find the best deal for you.